Aust Grand Ch Tarrangower Tyzack S.E. 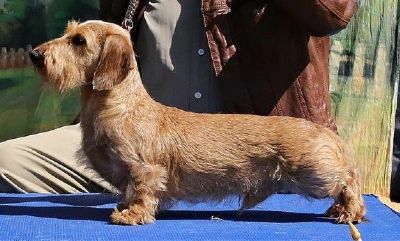 This well constructed Mini Wire with a tight and harsh coat, long striding movement and a happy disposition commenced his show career with Best Baby Puppy in Group awards at his first two shows. These were followed by Minor Puppy and Puppy in Group awards as well as Puppy in Show awards. 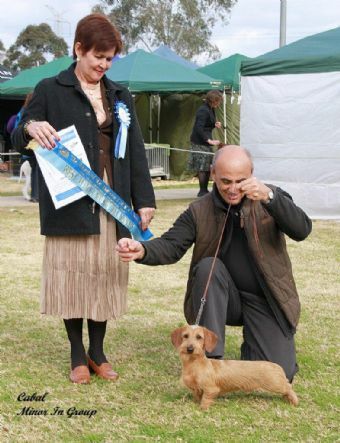 Zack's early wins included the dog challenge certificate at the 2013 Sydney Royal Easter Show and at two of the three Dachshund Club of NSW's championship shows in 2013. He has gone on to be a great ambassador for his breed not only at metropolitan championship shows and at earthdog tests but also on his daily walks around Palm Beach with his whiskered house-mates. 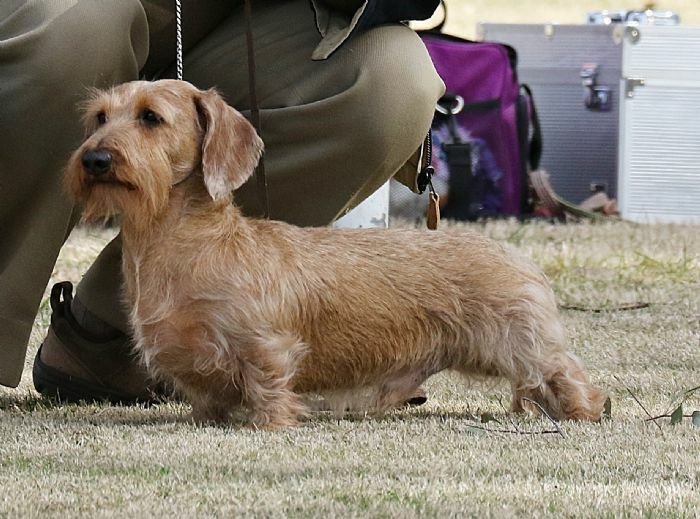 Zack attained his grand championship on 17/7/2016 and he was No 1 Dachshund (Miniature Wire Haired) In Australia in the 2016 Dogzonline Pointscore Competition - Breed Challenge. Zack has been certified PRA Cord 1 and Laforas disease clear. He is the proud sire of Ch Wattswires Waltzing Matilda (SA), Ch Wattswires Unforgotten (Qld / SA) and Ch Uglee Tzarina. D: Ch Tarrangower Tzatziki S: Ch Elphyn Llewellyn S.E.